Denying the chance to forgive yourself is like carrying a suitcase everywhere you go, continually weighing down on you and getting heavier day by day. 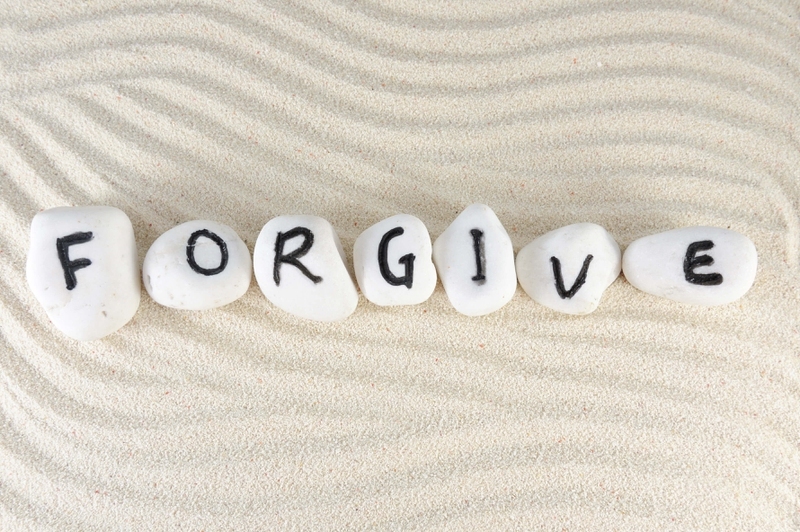 To forgive is to let go of those burdens and just walk away. It’s a lightening experience. Throwing those suitcases away frees you once again, allowing you to enjoy, laugh and see the positive side of others. Forgiving others start with forgiving yourself. When you fail to forgive yourself, you will fail to forgive others. How to forgive yourself? Give the following guide a try and you might just learn how to let go of your emotional luggage. Failing at a significant life task, e.g. getting the dream job or dying marriage. Any form of actions that physically or mentally hurt others. Any form of actions that hurt yourself through your lifestyle, e.g. ending up an alcoholic or anything considered self-destructive. Regret over past choices that might now lead to your current misery e.g. you didn’t save money for the kid’s college funds or a house. Categorizing them gives you a better perspective of what you did. Therefore begins your process of healing. You feel bad because of the feeling of guilt, overwhelming stress and the thoughts that you had let someone down is what makes you feel bad. It’s not about what you did 3 minutes or ages ago; it’s the way you react to it now that ended up being the problem. It becomes a habit that you need to learn to stop. It is natural for human to make mistakes. You are alright the way you are. Flaws don’t make you any less human than another, but rather it is what defines you as a person. You are unique by your defect and that makes you interesting in the eyes of others. No one is perfect; everyone makes mistakes. Making mistakes and suffering from failures are all part of the learning process that will lead you to success one day. Accept who you are, along with all your flaws, to grow in your life as a person. Toss your pride and insecurities away. Getting that weight off the chest is always beneficial for yourself. Negative emotions can easily cloud your judgment and reasoning. That additional perspective from a friend can help you to find a reason on why you are deserving of the forgiveness that you might not have realized personally. When others see you less critically than the way you think they are, that in itself will be encouraging to you. You should know that you have the social support to lessen that burden of carrying the guilt yourself as well. Professional therapy is always a welcomed decision in many cases. If you ever feel overwhelmed by your very own self-hate, do consider visiting one. You will probably lift that burden away if you made it up with something considerably of equal value. The idea that the guilty should be punished and the good rewarded. The problem is, understanding the value that you need to pay that dues. It could be obvious ones such as physical damages to properties, which could be satisfied with footing the bill for replacing them. But more than that, it’s going to get difficult. You can’t put an exact value on sentiments. If that property you damage hold a significant memory to that person (e.g. a heirloom watch or favorite mug), how would you value that? Ultimately it will be your decision if what you have done will be enough to right the wrong. Decide on the reparation you are going to do, does it benefit others or yourself? Self-punishment is great if it motivates you to improve eventually rather than as a punishment to your failure. Many types of research advice self-punishment to be time limited in nature, never to the extent of mentally or physically ruining. It’s easy to fall into a well of despair whenever you made a mistake. You let the false perspective of how your failure affects others destroy others. You thought that crying and screaming is the only thing that can be done. When that happens, you worry rather than mend, avoiding the problem when you can actually do something about it. The only way out of feeling your emotions is to take actions. Be positive, motivate yourself, and vent it all on your friends or siblings. Only when you had given up on being sorry for yourself would the healing start. You will feel better and as your thoughts get clearer, your steps to move on will continue. Lifting that emotional luggage doesn’t mean you would have to live with that you had “survived”. Often, you can always start from the very beginning: rebuild everything from scratch or climb your way up again. It won’t be easy, plenty people, places and things that you are going to leave behind for a new life. Look at this as a chance for a new life, a baptism to purge your sins, a reincarnation if you will. A whole new world for your exciting new life ahead and all its possibilities. You are worth it. Believe me. Be positive with your outlook in life, towards yourself. You deserve it. Prioritize yourself if you will, see yourself as your own best friend and shower yourself with self-praise. Whatever it takes, you are going to overcome that insecurities over your defects, then you will start making progress in forgiving yourself. Writing down your thoughts will help you not only to release that pent up emotions but to let yourself see your mistakes from another perspective. Every time you feel guilty jots it down in a journal. Track the way you feel and why so. Get to understand the source of your guilt better and you will soon learn to distance yourself from it. What would you say to your best friend if she is the one who approaches you for advice? And pour out her feelings of guilt? Probably you will to not be too hard on them, so reassure that you will be there for her. Tell her that we all make mistakes and everyone deserves forgiveness. Say this to yourself, but it’s probably easier for the one saying it to not feel that burden. Positive Emotion Refocusing Technique, a forty-five seconds technique developed by psychologist Fred Lusking of Stanford University. Whenever you start feeling guilty, shut your eyes, take a long deep breath that pushes out the belly (Or the right method to breath), followed by a slow exhale while relaxing the belly. Do the second set. For the third set, imagine someone you appreciate, or a place in nature that simply calls to you. White sandy beaches, majestic redwood forest. Explores the beauty of the image as you breathe. Notice the way you feel and let them center in your heart. Consider what you could to make yourself let go of that guilt. Once you think of an answer, go ahead and just do it. Research has discovered that as you forgive yourself, the empathy for the victim will decrease. Why so? The compassion for another is difficult to maintain while you are holding compassion for yourself. Then how to forgive yourself? Forgiving yourself is never meant to be easy. If there’s a lack of empathy in the forgiveness, then the forgiveness instead, becomes avoiding the problem altogether. Forgiving yourself does not necessarily erase your entire negative feelings or a self-enlightenment stage. But it is more of an act of humanity, as you humble yourself, acknowledge your failures, along with your ability to do better.